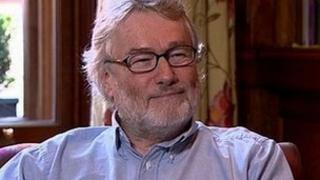 Iain Banks, who has died at the age of 59, was one of Britain's most celebrated authors, achieving success in both mainstream literary fiction and science fiction genres. He matched critical acclaim with mass market popularity and wrote more than 25 books throughout his career. In recent weeks, the Scottish author, who announced he was dying from terminal gall bladder cancer in April, had posted a series of blogs about his disease. His final novel, The Quarry, which is due to be published on 20 June, also reflects on the emotional and physical trauma wrought by cancer. Banks, born in Dunfermline, Fife, on 16 February 1954, was an only child. His father was a naval officer in the Admiralty and his mother was a professional ice skater. Banks decided to become a writer at the age of 11 and wrote his first novel at the age of 16. He studied English, philosophy, and psychology at the University of Stirling, before moving to London and living in the south of England until 1988. He later moved back to Fife, where he lived next door to his parents for more than 10 years. His debut novel, The Wasp Factory, was published in 1984 to a mixture of critical acclaim and controversy. The book, which established Banks as an original voice in Scottish fiction, told the story of 16-year-old Frank Cauldhame, a self-confessed multiple murderer living alone with his father. It was reviewed by the Irish Times as a "work of unparalleled depravity". "I was a complete unknown, so although some of the reviews were quite bad, the fact it was reviewed at all was a great thing," he told BBC 6 Music's Cerys Matthews in 2009. The book was ranked as one of the best 100 books of the 20th Century in a 1997 poll conducted by book chain Waterstones and Channel 4. Banks' subsequent novels explored gothic settings, contemporary politics, pop culture and technology. His 1987 book Espedair Street, a tale about a burned-out rock star, and which has shades of Pink Floyd's The Wall, was adapted for BBC radio in 1998. It was narrated by Paul Gambaccini and starred John Gordon Sinclair. Complicity (1993) became a film, starring Jonny Lee Miller, in 2000. His first science fiction book, Consider Phlebas, came out in 1987, this time using his middle initial - Iain M Banks. Last month, the author told the BBC's Kirsty Wark the genre gave him "enormous freedom... you can just go anywhere and do anything". He said it had been a "privilege" to be able to have a career that allowed him to write both science fiction and mainstream literature and he was "proud" of all the books he had written. "There [are] ones that I think I could have done better with. I still think Canal Dreams is the runt of the litter but I'm still very, very proud of The Wasp Factory," he said. The announcement of his illness was laced with typical dark humour, with the author stating he was "officially very poorly" and that he had asked his long-term partner Adele to do him the honour of "becoming my widow". Speaking to the BBC, he said: "I just took it as bad luck, basically. "It did strike me almost immediately, my atheist sort of thing kicked in and I thought ha, if I was a God-botherer, I'd be thinking, why me God? What have I done to deserve this? And I thought at least I'm free of that, at least I can simply treat it as bad luck and get on with it." Politically minded, Banks was an open supporter of Scottish independence. In 2004, he campaigned to have former Prime Minister Tony Blair impeached for the Iraq war. Following his diagnosis, Banks withdrew from all planned public engagements. But writing on Banksophilia, a website set up by a friend, in April, the author said he was "deeply flattered and touched" by the messages of support he had received. "Good grief! - what an outpouring of love, affection and respect. I honestly had no idea. I feel treasured." In 2008, The Times named Banks as 38th in its list of the 50 greatest British writers since 1945. In May, the author said he did not have many regrets in his life. "I've had a brilliant life and I think I've been more lucky than unlucky, even including the news of the cancer. I've written 29 books. I'm leaving a substantial body of work behind me. Whether that'll survive, who knows, but I can be quite proud of that and I am," he said.